Sarah Rescue | Help a dog Today! For a small monthly amount, you can turn one dogs life around. Please sponsor a dog today! SARAH RESCUE is a Stratford, CT based handicapped animal rescue organization. We began our endeavor in 2000 after we found there to be a great need for a group to focus on special needs animals. We became a recognized non-profit in 2001. We take in handicapped animals (primarily dogs) that have no other options. Each dog has their own criteria, their own modality of treatment (if their is one) and they live with us the rest of their lives with care and dignity. We provide, love, consistency and the best care possible for the time they have til they cross over the Rainbow Bridge. Benedict came to us in June of 2018. At 12 years old the only family he knew could not keep him any more so we took him in. Unneutered, over grown with hair and pencil thin, this boy was very closed down when he came. After a few days as he was feeling better he became very aggressive toward me, I couldn't handle him or even walk by him without him attacking me. 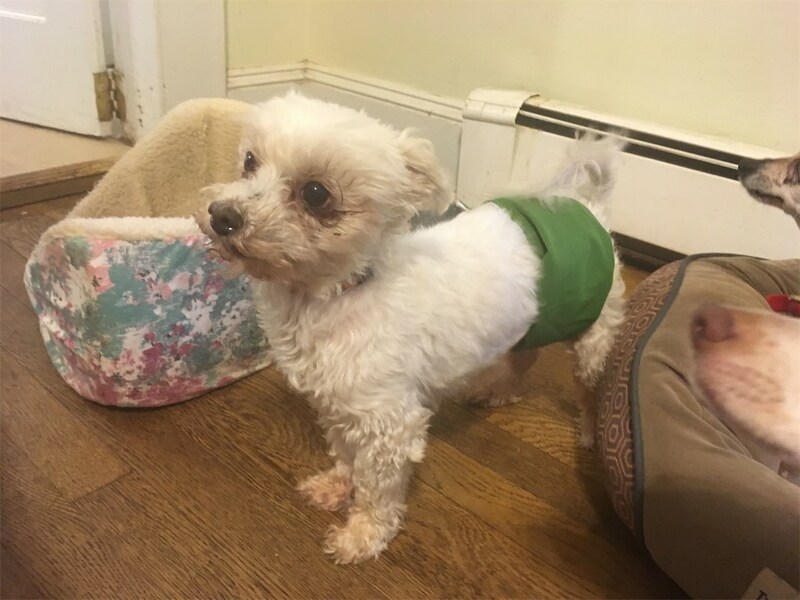 We had him neutered and called in a dog trainer and an animal communicator who both helped us help him to adjust to his new life and understand that he was safe with us. He is now very well adjusted to his new life and his new family. Patience is sometimes required with rescue dogs. They get confused and need time to understand their new home. We are glad we stuck it out with Ben as we love his quirkiness and funny ways.